With a solid snowy base and storms dumping Utah’s ideal powder regularly, February is a great time to experience all this state has to offer and what draws people back each year. From Thanksgiving to Memorial Day, travelers come to Utah to enjoy all that Mountain Time offers. But when is the best to time visit? The answer is: OFTEN! 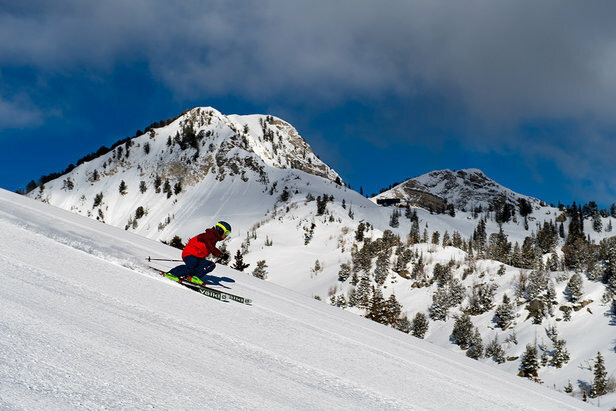 Utah resorts provide so much variety on and off the slopes (yes, we do more than just ski here, and we have to keep the snowboarders busy when the lifts close), you’ll want to return again and again. Thanksgiving is considered early season, but, assuming we all did our Snow Salsa or Mountain Mamba dances, Brighton typically starts running its lifts by mid-November with the rest opening thereafter over the next several weeks. 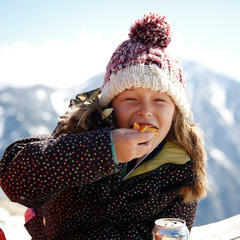 This is typically the best time to find great ski and lodging discounts—even last-minute deals—with fewer Christmas crowds making it a hit with families who want to learn to ski or snowboard and parents who don’t want to cook. 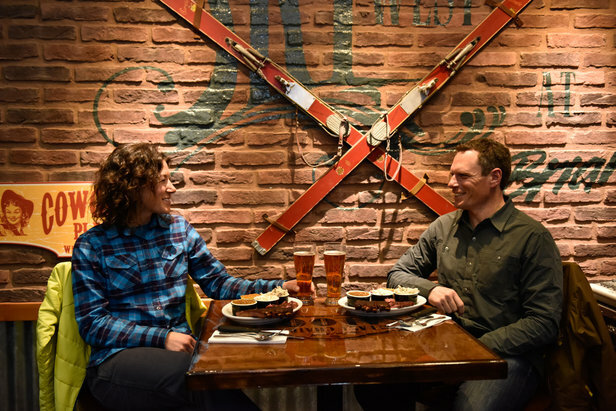 You can also escape the kitchen on Saturdays at Brian Head where the Southern Utah resort hosts weekly BBQs and live music at the Last Chair Saloon. Saturdays in November, Brian Head hosts weekly BBQs and live music at the Last Chair Saloon. Christmas and New Years in Utah are famed for bright days and night lights. It is hard not to get into the holiday spirit on a ski vacation especially when accompanied on a lift by Santa or Mrs. Claus, The Grinch or Buddy the Elf. Now, imagine hundreds of them. No, it’s not a convention. 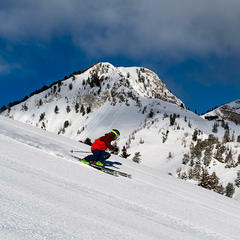 It’s Utah, where resorts encourage young and old to celebrate the season. Costume contests awarding free lift tickets are common, and huge smiles are ubiquitous (check individual ski resort websites for details). As the sun goes down, resorts throughout the state host nighttime torchlight parades (Alta Ski Area shows this off very well), whereby skiers and snowboarders illuminate the slopes like comets falling from the sky. Then, head to Downtown Salt Lake City for the stunning holiday light display at historic Temple Square or take in the famous Tabernacle Choir that attracts locals and visitors alike year after year. The powder is typically dumping in January, keeping resorts busy and visitors happy through the Martin Luther King holiday weekend. The powder is typically dumping in January, keeping resorts busy and visitors happy through the Martin Luther King holiday weekend. However, the real buzz in The Beehive State occurs during the last half of the month when the Sundance Film Festival takes over Park City's streets and theaters throughout the mountain and metropolitan areas. If you arrive after opening weekend, you can likely still score same-day movie tickets and celebrity sightings (my hubby has accepted that a selfie with Jon Hamm on a Tuesday morning is nothing he should worry about), but the real discovery is that the ski slopes are just about empty during Sundance (Also read: Sundance, Full Circle: When visiting the Sundance Film Festival in Utah, movies are only part of the experience). If you prefer to see real stars or feel entire galaxies envelop you, then head to some of the darkest skies on the planet in Southern Utah or in northern Ogden Valley, where star parties and moonlight Nordic ski events are popular. 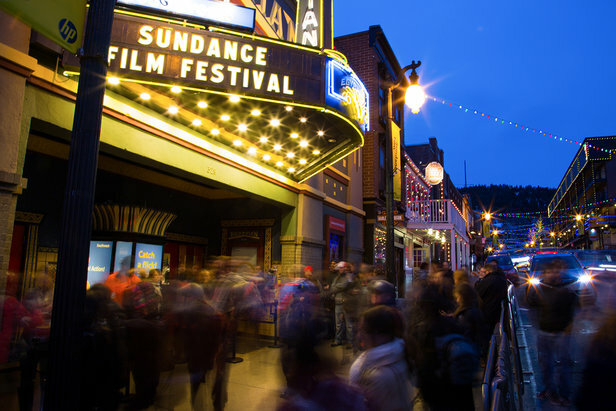 Sundance Film Festival takes over Park City's streets and theaters throughout the mountain and metropolitan areas in January. Love is in the thin air of Utah this month. With a solid snowy base and storms dumping Utah’s ideal powder regularly (the word for it is “flotation”; to geek out, read The Science Behind Utah’s Snow), this is a great time to experience all this state has to offer and what draws people back each year. 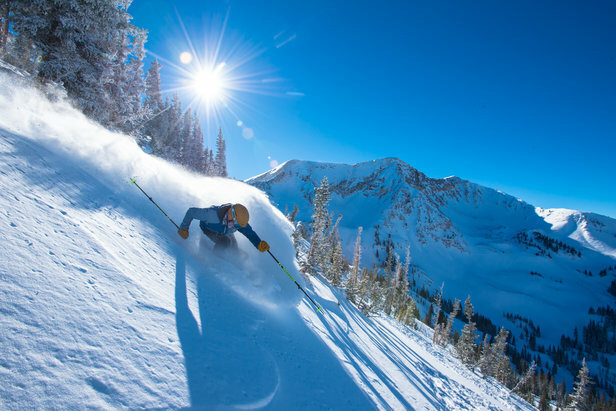 Ask locals or lifties where the best runs and powder stashes are each day—Utahns are famous for their hospitality and happy to share snow tips because, frankly, we get months and months of this stuff. With the adrenaline rush of snorkeling through the pow or cruising down your first groomer, you’ll feel excited and exhausted at the same time. To bring you back down and give you an opportunity to brag (because, like a fishing trip, it is perfectly acceptable to embellish a bit), enjoy a five-star après ski at St. Regis with hot cocoa made from melted European chocolate or its signature 7452’ Mary (the number represents the elevation and how many levels this cocktail stands above the traditional bloody fare). 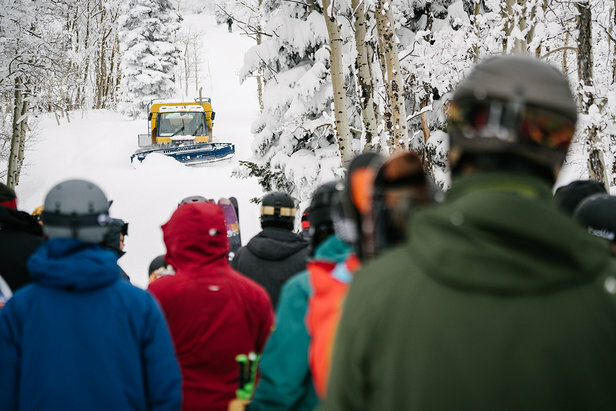 Then, if it is early February, join thousands of fans to watch Olympic hopefuls fly, twist and descend at Deer Valley Resort or over the Wasatch at Solitude Mountain for the FIS World Cup Championship. This amped-up event is like a Springsteen concert for thrill seekers and, after skiing those runs earlier that day, you’ll feel like one of them. From Thanksgiving to Memorial Day, travelers come to Utah to enjoy all that Mountain Time offers. Spring fever hits Utah resorts in a variety of ways. 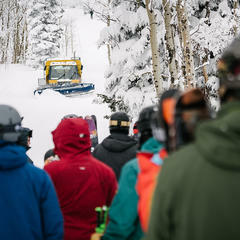 One annual tradition is the 16-day Spring Gruv at Park City or Beaver Bash at Beaver Mountain. However, if you just want to wring out every last bit of winter, take your skiing and snowboarding skills to the next level (especially, if that’s from blue to black runs) and end with a bang, then spend the day learning with Olympians. Utah has a lot of them! It also produces an inordinate amount of artisan chocolate celebrated at Solitude’s Annual Chocolate Lovers Festival (although locals joke that what the state lacks in alcohol it makes up for in chocolate, there’s plenty of the former here, too). 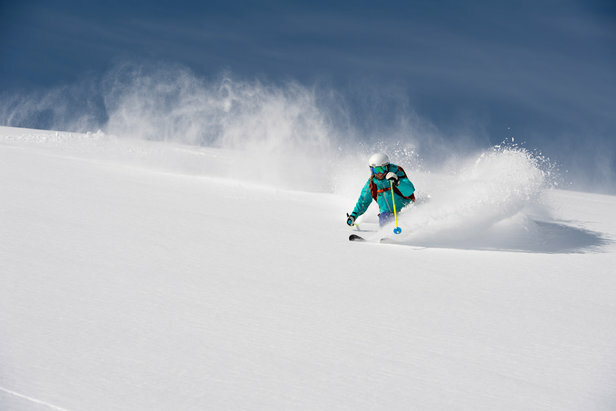 The temperatures are warm, but there is typically one last powder storm before the arrival of corn skiing, a completely different texture of snow which is a lot of fun to ski on and is particularly forgiving. If that is not enough reason to visit then, like early season, the ski-and-lodging deals should convince you to sneak out here one last time. Most resorts close by month’s end with celebrations that rival opening day (like the live music and parking lot party at Alta’s closing day). And, of course, there’s an Egg Hunt and party at Brian Head and The Beav. Because it is easy to see the brightly-colored eggs on snow, it lasts about 2 minutes. Then, the real fun ensues. Yes, Snowbird is still open and, weather permitting, will remain so through Memorial Day Weekend and (with crossed-fingers and more dancing) beyond. If you’re around, then this is a terrific time to pick up your season pass and discount gear for next year. With the best prices and extra perks, you’ll save enough to come back OFTEN! throughout the season. 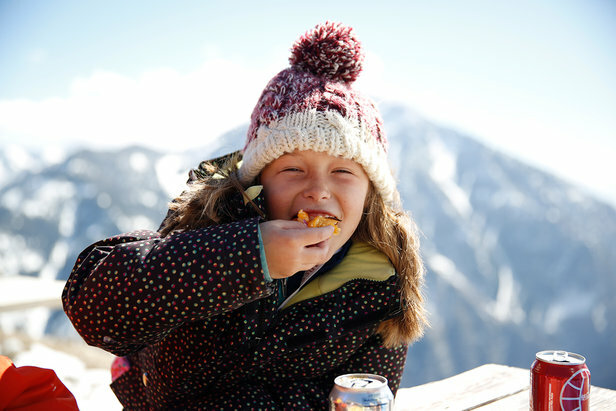 Snowbird stays open in May and, weather permitting, will remain so through Memorial Day Weekend and beyond.